hope you are all well . I chose to use 3 colors from this board . The lime green and the soft pink and lilac . I covered my cardstock with a light coat of white gesso . then proceeded to add the colors using a brayer . it became very messy and some of the paper was so wet it began to peel !! I was inspired by the words relaxed, refresh and enjoy . we find the most beautiful B and B's . I love this white on white look . so restful and pure bliss, in my opinion . to match with the mood board . texture /color /and trimmed chippies . Ornate corner #13 DA 1137 thanks for popping by I hope you are inspired to have a play with some chippies. REMEMBER the chippies can be purchased directly from the Dusty Attic website . So wonderful! I love your work and study them. Thank U! Soooooooooo gorgeous! LOVING the colors and how you framed the photo!!!!!!!! Wow! Both the B&B and your lay-out look totally gorgeous! I just love the serene look, the beautiful circle frame and the flower details! Ahhhhhhhh - that's the feeling I get looking at this incredibly gorgeous layout! Simply stunning. OK, so this is how I see it. The B&B is bliss....this PAGE is PURE bliss. Let's just get that straight! I could stare at it for hours - it would look super cool hanging up to just feel relaxed & taken away somewhere else for a bit. ADORE!!!!! And who'd KNOW the bg was almost peeling???!!!!! So soft and pretty, LOVE it!! Seriously stunning! Love the detail, colors and composition. Always leaving here in aw! Love it! J'adooooooore et je suis totalement fan Heather !!!! 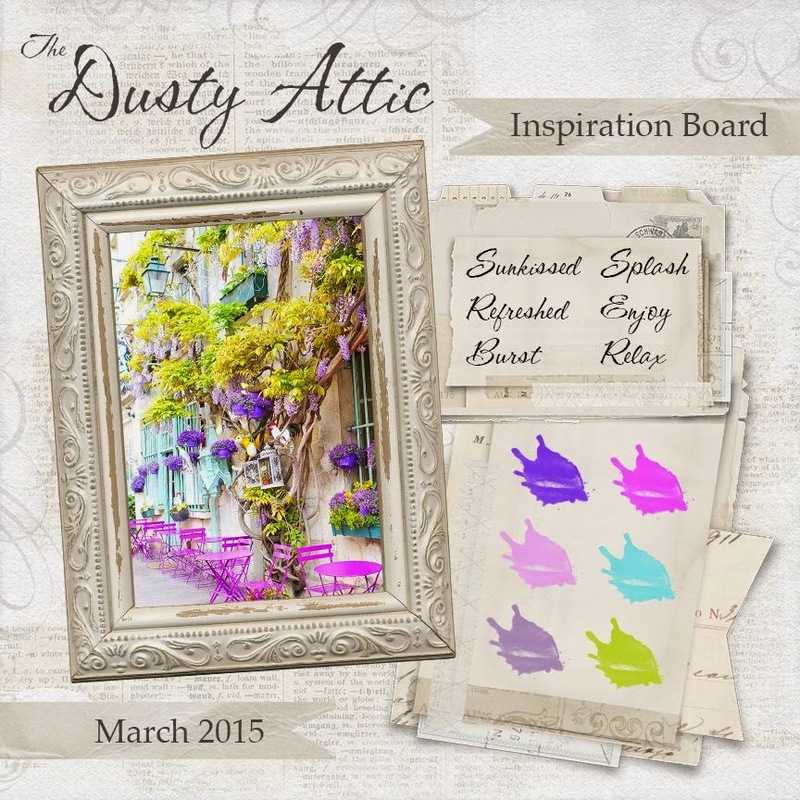 Peut on participer si on n'a pas d'embellissements de Dusty Attic ??? Merci, douces pensées et encore : j'adore !!! This is so pretty, soft and oh so beautiful... really love the back ground with the stitching, and wonderful layering around your photo.. new fav for sure!! Sigh..... so soft, dreamy and beautiful. Love the photo too! This is really pretty, I appreciate the softness and muted colors. Oh Heather this truly takes my breath away. Your talent is AMAZING. Un gran diseño. Puro, sereno. Me encanta como haces fluir los colores. 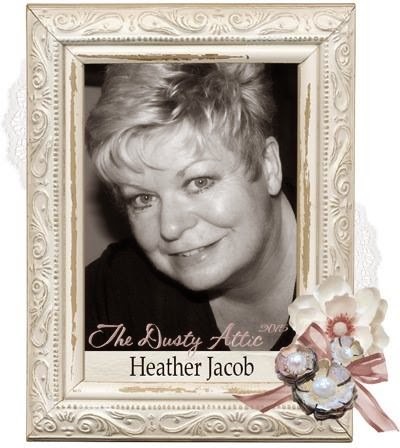 This is by far my most favourite of your layouts heather. when ever i feel down i just look at this blog of it and enjoy all the delightful detail you have put in to it. 10 minutes absorbed in this layout and i feel the serenity return. i aspire to be this good. thank you for the inspiration.